Focal breaks new ground with this flax woofer cone. The folks at Focal have never been ones to rest on their laurels, and their pursuit of sonic excellence has led them to a surprising discovery — flax fibers, at half the weight of fiberglass, help create a very rigid yet lightweight cone for speakers. 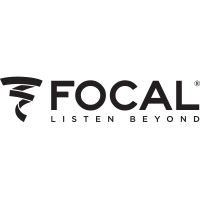 Focal creates this unique cone by sandwiching a layer of hollow flax fibers between two layers of glass fibers, resulting in a lively, accurate speaker that averts unwanted vibrations. Focal's Expert Series PS 130F component speaker system combines these innovative flax 5-1/4" woofers with their celebrated inverted dome tweeters and versatile crossovers. The inverted dome of the tweeters mimics woofer-style sound dispersion, distributing the high frequencies in a wide pattern to create an exceptionally natural soundstage. Focal includes an option for surface-mounting the tweeters, or you can flush-mount them for a more discreet look in your car. This system's included crossover networks feature tweeter level adjustments that let you craft a precise, dynamic stereo image in your car. The crossover's quality components create a smooth transition between the tweeter and woofer, eliminating "hot spots" and dropouts in your music. 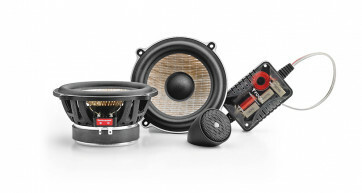 These speakers will handle up to 60 watts RMS, and powering them with an amplifier will really enhance their dynamic range.